The Multicultural Community Center (MCC) is currently seeking Student Interns to staff and implement programming in the MCC for the 2019-2020 academic school year. The MCC Internship is intended to facilitate students’ greater involvement in the MCC as well as their broader engagement in multicultural-related education, collaboration and community-building. Rooted in the 1999 Ethnic Studies Strike and Agreement, the MCC has had a profound hxstory of struggle, student-visioning and vibrant programming in the nearly two decades since its inception. Building on increased—and student-won—funding, Interns are an integral part of the MCC’s future as a student-driven and community-centered space. 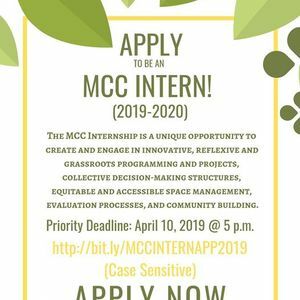 The MCC Internship is a unique opportunity to create and engage in innovative, reflexive and grassroots programming and project design, collective decision-making structures, equitable and accessible space management, evaluation processes, etc. 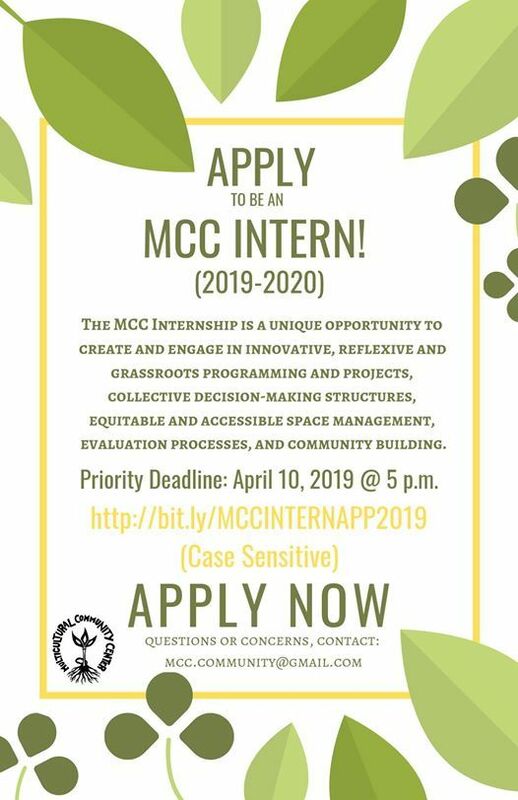 As an ever growing and evolving space on campus, we are looking for interns who are highly motivated and ready to commit to both themselves and the year-long MCC internship program. The majority of MCC Intern positions will be allocated to workstudy eligible students. Non-workstudy eligible students (including undacamented students) will also be considered for MCC Intern positions based on their specific potential to contribute particular skills and expertise needed for the MCC to fulfill its programmatic and logistical vision. Priority deadline is Wednesday, April 10th @ 5pm, applications will be accepted on a limited rolling basis thereafter.